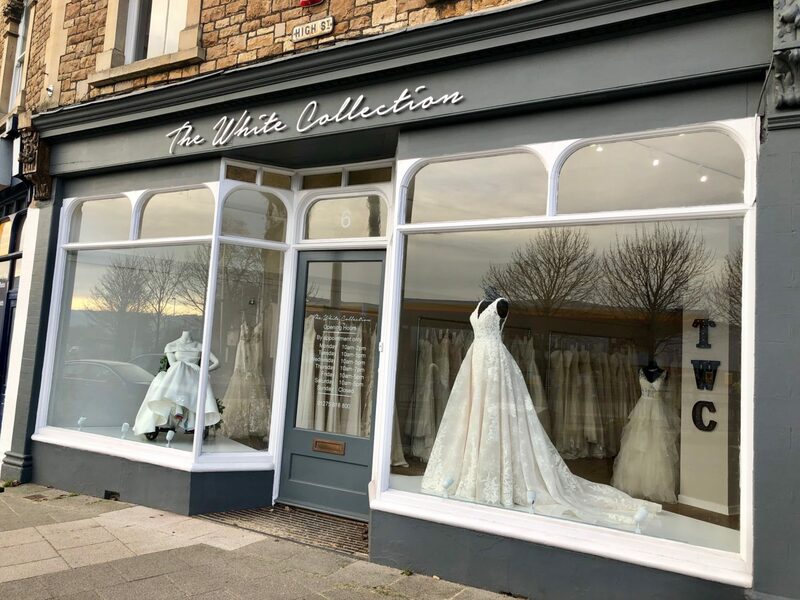 A bridal boutique has been commended for displaying one of its wedding dresses on a mannequin in a wheelchair in its shop window. A photo of the display at The White Collection in Portishead, Bristol, went viral on Twitter after it was shared by disabled artist Beth Wilson. 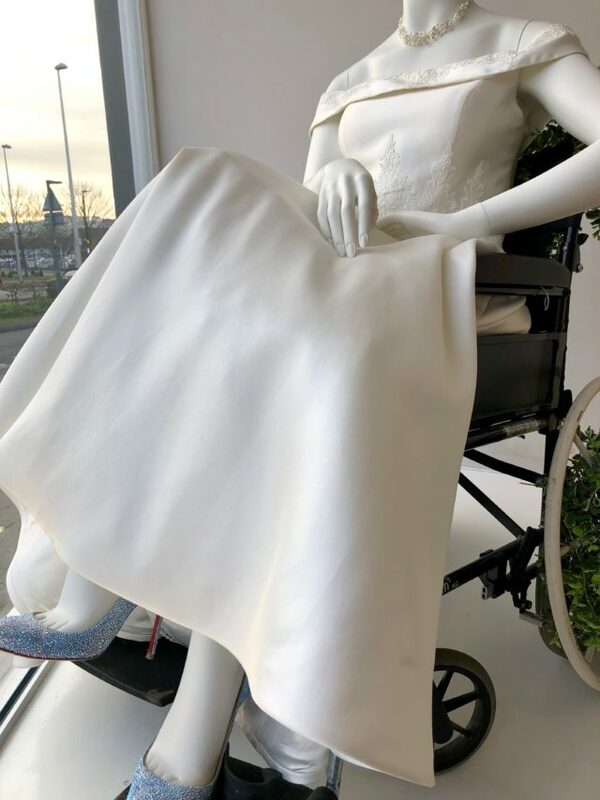 “The new wedding shop in town has a wheelchair using mannequin and it shouldn’t be exciting but it’s the first time I’ve ever seen disability portrayed in a shop window,” Mrs Wilson wrote on Twitter. The 36-year-old has used a wheelchair for the past five years, and said the display made her feel represented. “So often disabled people feel invisible because we don’t see ourselves in the media… especially not modelling beautiful clothes,” Mrs Wilson told the Press Association. Mrs Wilson’s tweet was met with numerous positive reactions, but Laura Allen, who owns the bridal shop with her sister Sarah Parker, said they “didn’t think much about it” when they installed the display. “It’s been great having such a positive response, but in a way it’s quite sad people have done a double take, it shows how rare it is to see a wheelchair in a shop window,” said Mrs Allen. The 29-year-old does not believe they are the first to represent disability in this way, but would like other shops to follow their example. “It’s an industry that’s well known for not being inclusive, a lot of bridal shops you go past you see the standard skinny mannequin,” said Mrs Allen. “But everyone gets married, it doesn’t matter what you look like or how you are, your day is going to be special. The wheelchair in the display was given a decorative garland, something Mrs Wilson also appreciated. “It’s great that they decorated the chair rather than hiding it away,” she said. Mrs Allen said brides are “often nervous”, so all customers are given the whole boutique to themselves for two hours, meaning they can bring their friends and family and not “feel like they’re getting in the way or people are looking at them”. Twitter users commenting on the photo of the display praised the “inclusivity” shown by the shop. Have to say, that dress looks fabulous with the chair, good to see them showcase how important it is that they make sure dresses look great for every client. “The reaction on Twitter shows it means a lot to other people too,” said Mrs Wilson. “I think most (disabled) people experience inaccessibility often when they go out… The world isn’t designed for us.